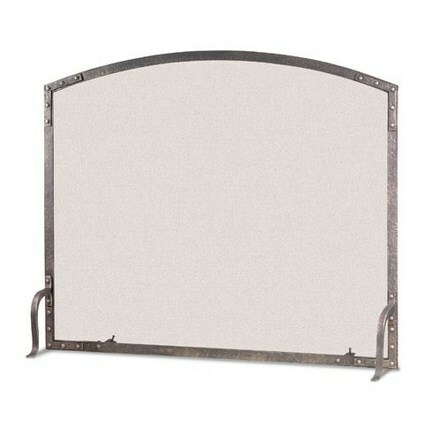 One of our most substantial screens, the Old World Flat Panel Screen is finished in forged iron weighs 42 pounds. Aside from its weight, quality is evident in authentic, riveted corner brackets and adjustable rear legs that can be secured to your hearth. Artistically design and solidly constructed, Pilgrim offers a limited lifetime warranty on this screen and all of its products. Click on our store locator to locate a dealer near you.